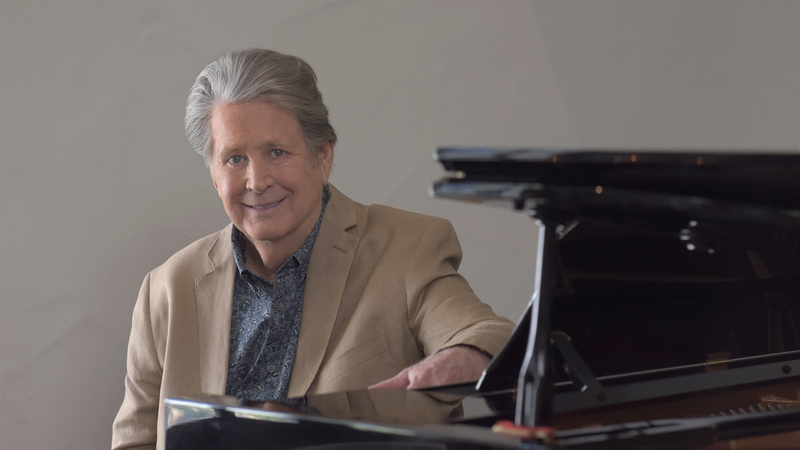 If you grew up with the sounds—specifically the Pet Sounds—crafted by Beach Boys co-founder Brian Wilson, you're aware of the sonic bliss he's capable of producing. The iconic 1966 album was lightyears away, production-wise, from any other work of its time—defining a generation and solidifying the California-native as one of the most influential songwriters in the game. If you're like me, pressing "play" on songs like "God Only Knows" (once dubbed "The greatest song of all time" by Paul McCartney) and "Wouldn't It Be Nice" produces a flood of emotions, transporting you to a time and place when things were a little more simple. There are not many albums that can do that, and there's definitely no one else like the mastermind behind it all. Flash forward fifty years, and Wilson is still shaking his listeners to their core with live performances of the LP. In case you missed it, the Grammy Award-winning musician announced last year that he'd be embarking on a final anniversary tour to celebrate the album, a run that would take him through the US, Europe, and The UK. If you've been wanting to hear this magical compilation live—the time is now. Kicking off this Saturday, March 18 in Palm Springs, Pet Sounds: The Final Performances Tour will see Wilson joined by Beach Boys members Al Jardine and Blondie Chaplin for all dates. We got to chat with the producer before he hits the road about everything from what his favorite song to perform live is to the time his music made Paul McCartney cry. Check it out below, then make sure to Track the multi-instrumentalist on Bandsintown so you don't miss him when he's in a city near you! So, first of all, Pet Sounds is incredibly iconic. In the very beginning, was it difficult to figure out how you were going to play the material live, given all of the instruments used in the studio? Well, we have 10 instruments onstage. So the guys and me have known Pet Sounds for many years—they’ve practiced a lot, so they’re able to duplicate it onstage—just like the record. It was not easy to figure , we had to take a lot of time to make each instrument sound good. Is there one song that you prefer to play onstage after all these years? Yeah, I like to do “California Girls”. Do you have any advice to give emerging artists for performing live in front of an audience? Yes—I’d tell them not to take drugs! Do you have any pre-show or post-performance rituals? I meditate for about half an hour before each concert. Do you have a favorite interaction that you’ve had with a fan that stands out more than any others? Well, one time in the '90s, Paul McCartney came up and started crying after we played "God Only Knows"!